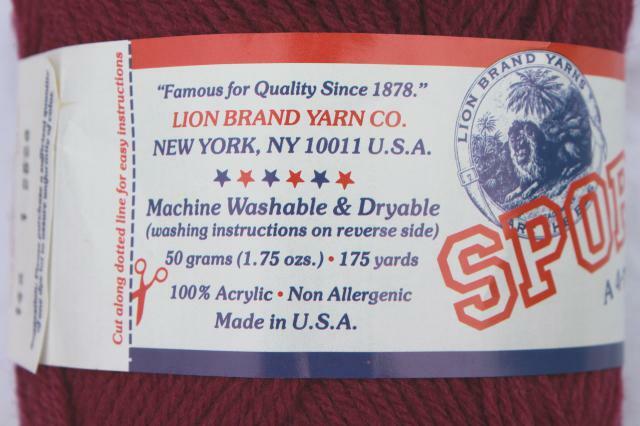 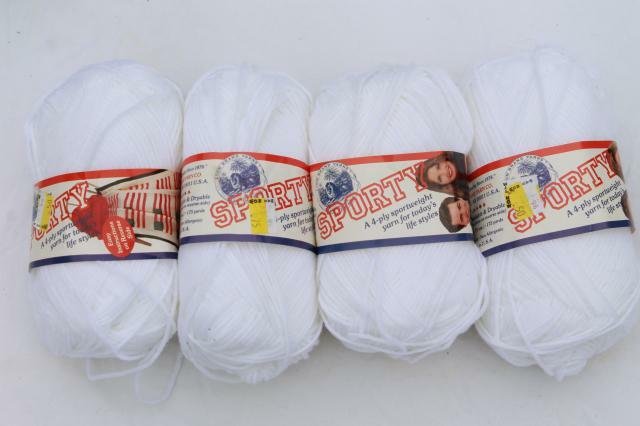 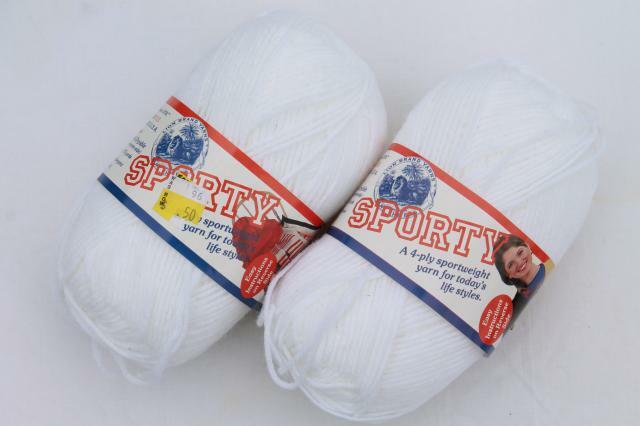 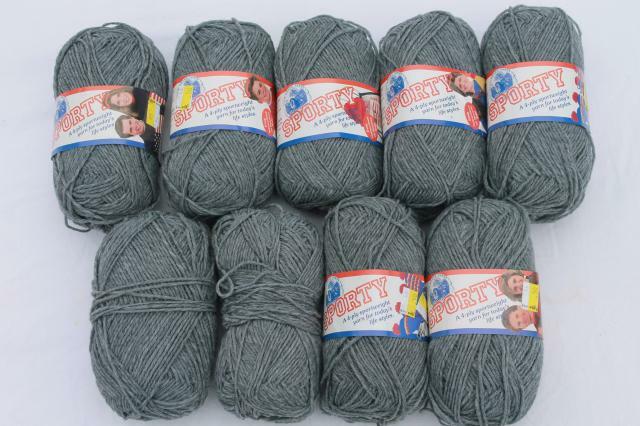 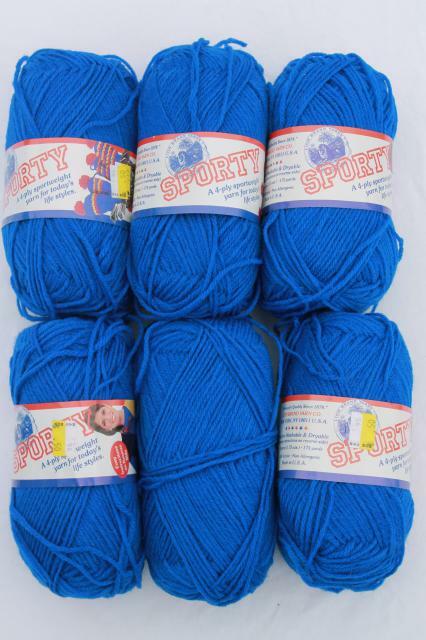 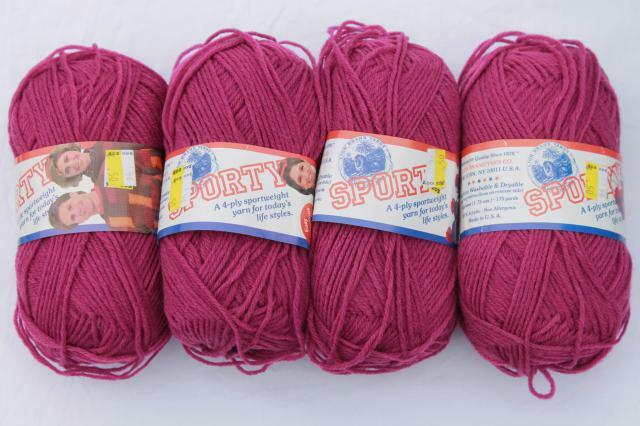 Large lot of 'Sporty' Lion brand acrylic yarn, 25 skeins (175 yards, 1.75 ounces), nearly all full or mostly full. 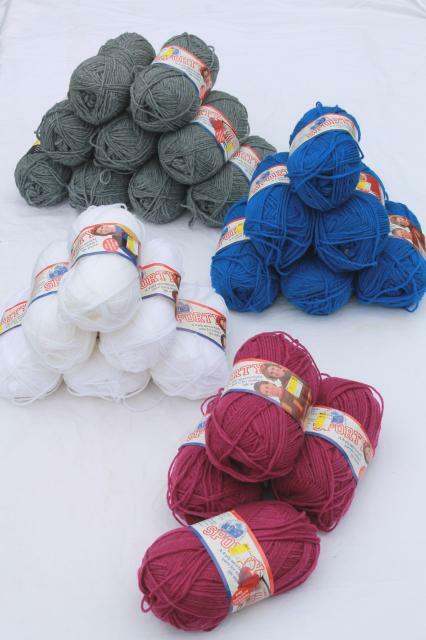 This yarn and some other lots we're listing is all from one estate, and I believe most of it was a stash of new unused yarn. 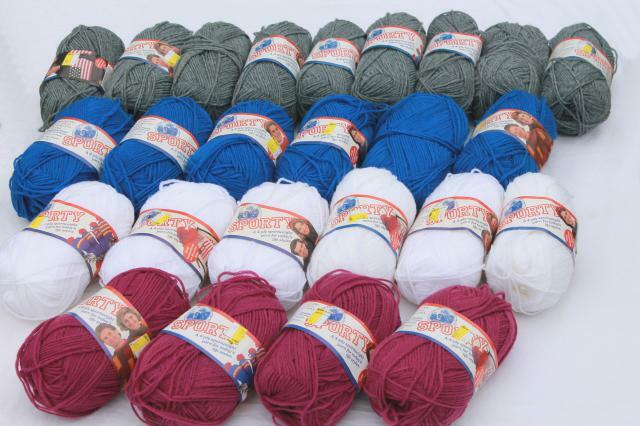 The photos below show this actual lot - there's a ton of good yarn here for knitting or crochet, for hats, afghans, sweaters or scarves. 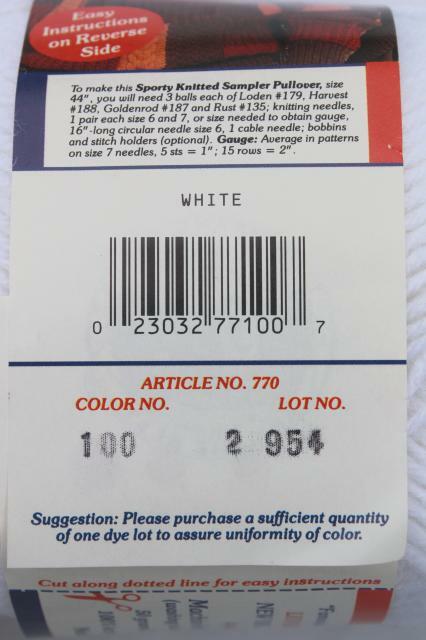 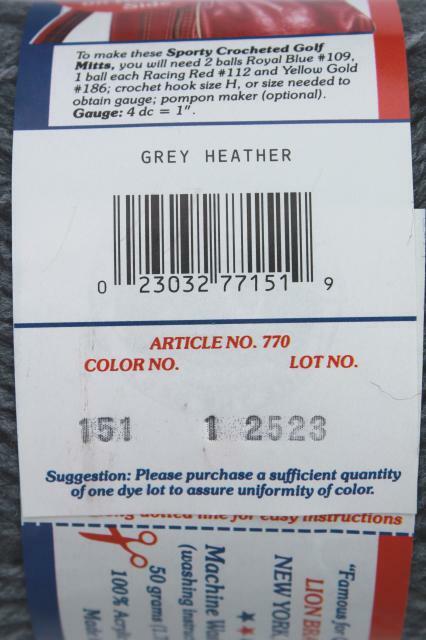 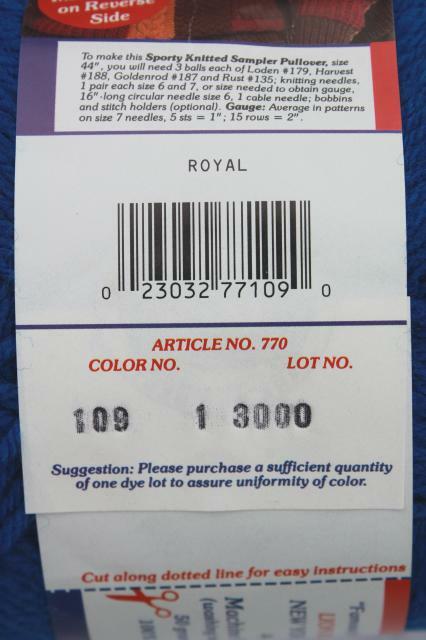 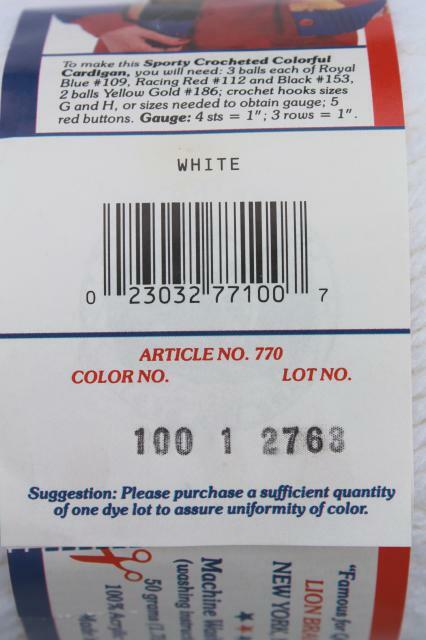 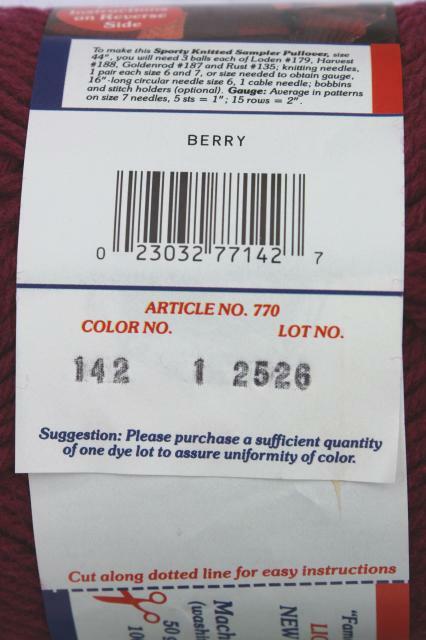 The berry, royal blue, and grey heather colors are matching dye lots.